Play Really Wild online for free now! What’s up, man? 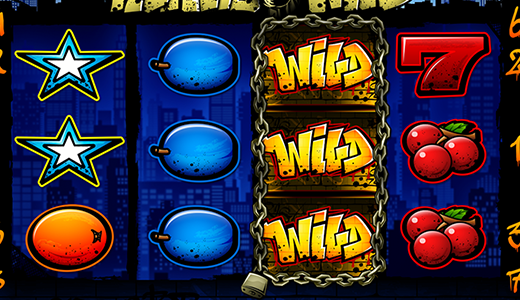 This slot machine takes you to a thrilling city jungle: this game is all about urban street life! Naturally, street style also features loads of graffitti in this slot. Casualness is king in Really Wild™ because “staying cool” is the order of the day. The exception – when the winning starts things are heating up. 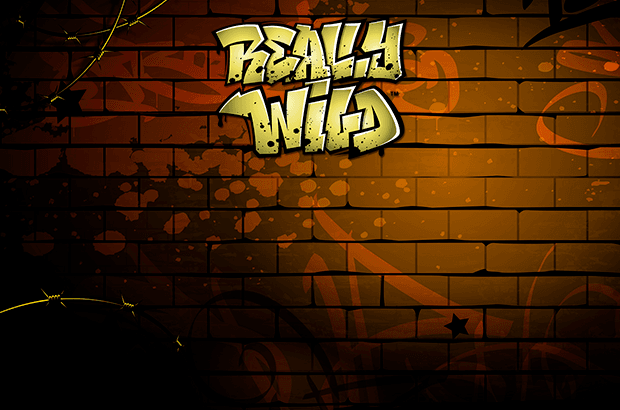 Really Wild™ is a real asset for the sophisticated slot selection of our online casino. Here’s the reason: this slot machine offers classic casino gaming with a fresh look, because the cutting-edge gameplay of Really Wild™ merges street life with vintage fruit symbols! Roam around the metropolis on 7 win lines and 4 reels and boost your player account. The Star symbol generates the highest winnings followed by the 7 and the Melon. Here, we have some pointers for you about which features lend you a helping hand to rake in big bucks in Really Wild™ online. Your aim with Really Wild™ online is to line up 3 matching symbols on one of 7 win lines or 4 matching symbols on one of 3 win lines, because then things go wild. The first 3 win lines are highly profitable because their winning combos are running from left to right and from right to left. Winning combos appearing on reels 4 to 7 pay from left to right. Scatter (Hoodie symbols) can land wherever because they earn you winnings in any reel position. But there’s more: in addition, each reel is loaded with stacked Wild symbols that substitute for any symbol except for the Hoodie symbol; in other words: you can bag even more winnings. In Really Wild™ there’s plenty of moolah lying around waiting for somebody to pick it up. In this mega-trendy slot you prowl the streets with a shady character (Hoodie symbol) and grab huge winnings. All you need is 3 or 4 Hoodie symbols and you can lean back and chill for you have just earned 10 or 20 Free Games. Fancy some more? No problem because if one of 4 reels randomly lands a cluster of 3 Wild symbols you are showered with more winnings that will boost your player account and your spirits. The cluster reel is then held for the duration of the Free Game. And remember: you can bag more Free Games during current Free Games! Street vibe and urban style make you feel right at home? Skateboard and hoodie are part of your dress code? In this case, our slot machine Really Wild™ is just the ticket for you, as you'll casually stroll around an urban setting while collecting winnings. All you need to do is be cool. It helps to also land a few winning symbols to turn Really Wild™ into a real money-spinner. And if you spin the reels like crazy you might even be able to afford a new wardrobe brimming with designer hoodies! 3 of 7 win lines run from left to right and right to left.